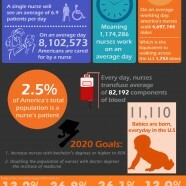 Nursing should be regarded more a vocation rather than a profession. 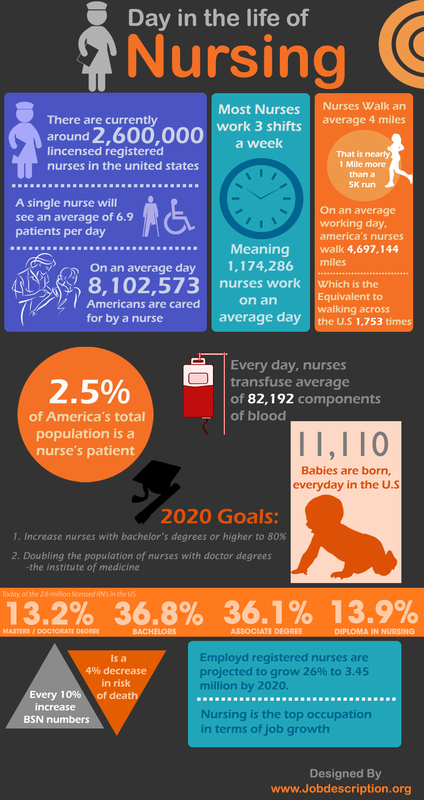 Here you can find out what the daily motion of a nurse is and realize their significance in the advancement of a healthcare system. Data refer to the US health industry.